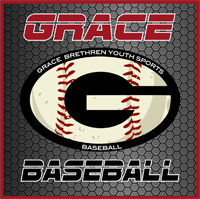 GBYS - Grace Brethren Youth Baseball is a Non-Profit Sports Organization that was established in 1986 to provide co-ed baseball for kids ages 4-14. Since that time we have seen our league grow to what it is today. On average, we enjoy having over 200 young enthusiastice Baseball players from all different skill levels enjoy our great league, our great fields and most of all the Great Family Environment. Open to ALL Families, we have divisions ranging from T-ball and Coach Pitch, Farm, Minors, Majors and Pony(13 -14 years old) . GBYS is focused on teaching young people the fundamentals of youth baseball while providing an environment of fun, encouragement, and competitiveness.Come check us out for yourself and see what the GBYS - Grace Brethren Youth Sports Baseball League has to offer. We look forward to meeting you.